The latest in a string of openings from New York’s Grzywinski+Pons is a converted 18th-century Georgian retreat in Edinburgh. Grzywinski+Pons never set its sights on the United Kingdom. 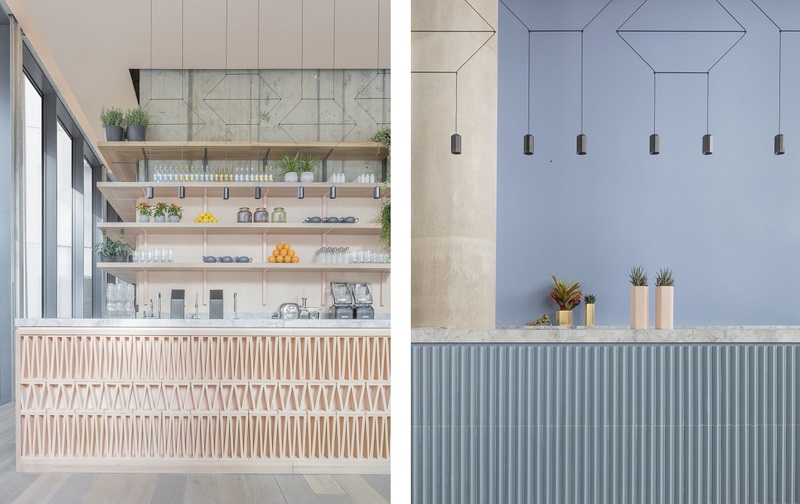 Primarily known for New York properties such as Hotel on Rivington, The Nolitan, and, more recently, Boro Hotel, the nearly 15-year-old architectural firm won its first overseas commission, the English pub–inspired Urban Villa hotel, in 2014 following a cold call from a London developer, an event that touched off a British building boom for cofounders Matthew Grzywinski and Amador Pons. According to Grzywinski, it’s not so much a New York aesthetic that they bring to the table as it is their frank, plainspoken manner—refreshing in a country famous for adhering to protocol. “Our work doesn’t scream New York as much as we do,” he says. 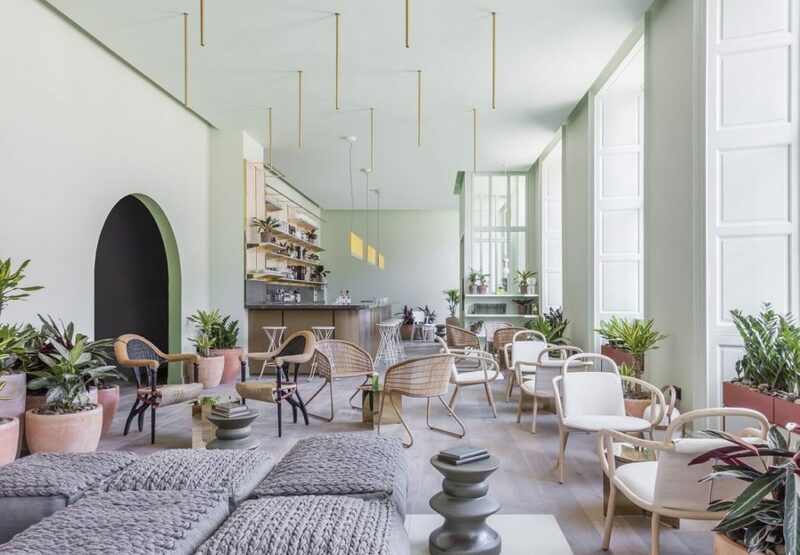 The hotel captures the Millennial zeitgeist with a pastel palette that takes its cues from the city’s rosy light and tropical vegetation, setting a warm, soothing tone throughout the space. The 72 studio-style rooms are outfitted with brass-accented kitchenettes and streamlined furnishings, a theme that continues into the public spaces, which include an inviting wicker-studded café, lounge, and bar area where natural light streams in from giant floor-to-ceiling windows. 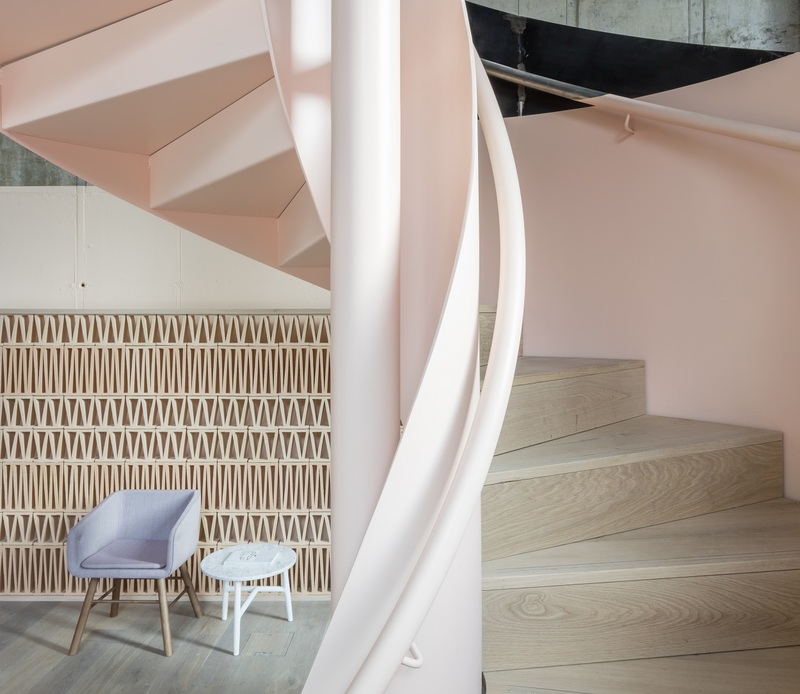 It’s an aesthetic that is also visible at sister property Leman Locke, in London, and a soon-to-open third hotel, set in a 19th-century textile mill in Manchester. There, too, the challenge will lie in avoiding contrived historicism. “We want to respect history by doing something new,” Grzywinski says. With this current surge of commissions abroad, the firm will certainly have ample chances to perfect that balance.